Buy One, Get One 40% Off on Select Kidrobot Items! The crime-fighting martial-arts-knowing reptilian adolescents are here! 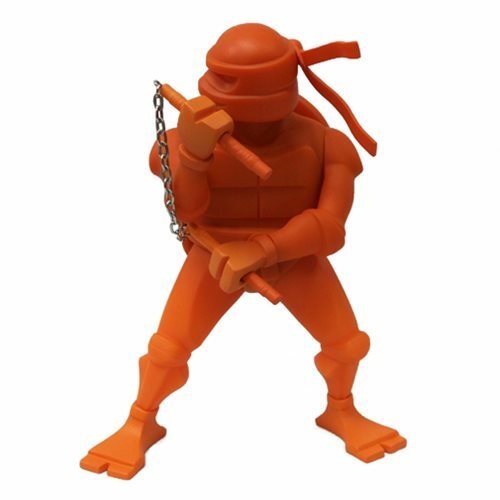 This Teenage Mutant Ninja Turtles Michelangelo Medium Vinyl Figure features the goofball of the TMNT in a battle pose, colored all blue. From Kidrobot, this awesome medium-sized vinyl figure is a must-have for Teenage Mutant Ninja Turtles fans! Features articulation in the head and arms. Ages 15 and up.